Greektown is a dining and nightlife district located on the Near West Side of Chicago that blends traditional Greek culture with urban life. Looking to refresh their brand and attract millennials to the neighborhood, Greektown turned to Idea Kitchen to help make their neighborhood a go-to destination. 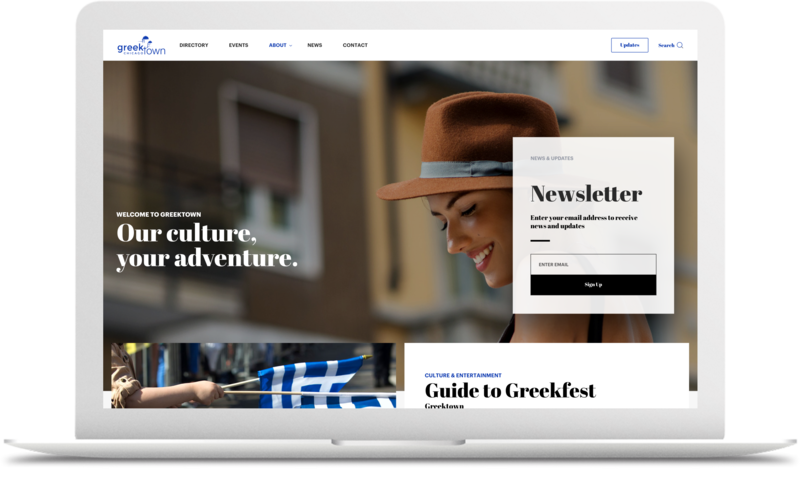 Working in close collaboration with the Greektown team, we transformed their entire brand strategy and were happy to give new life to their website. We first established a concrete branding strategy that stayed true to them. 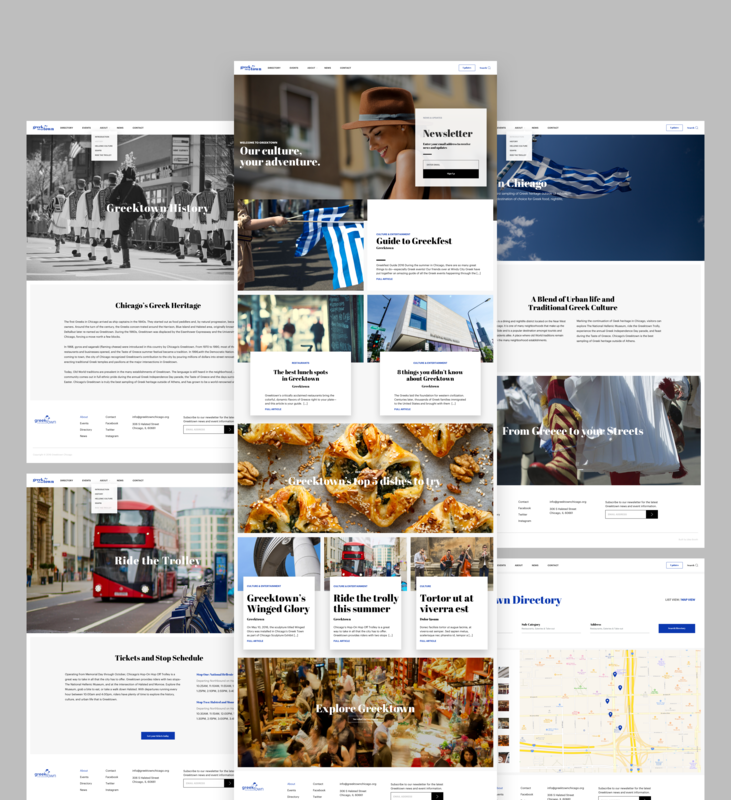 The objective of the rebrand was to convey the history and life of Greektown shining new light on the neighborhood.